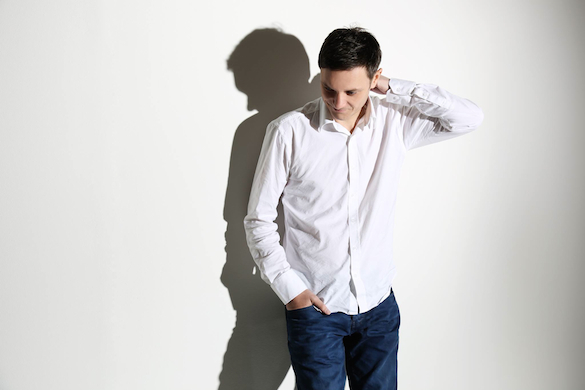 Originally from Germany & now residing in South Africa, Ralf GUM is well known for his soulful productions. He’s been DJing since 1990 & creating house music from 1993. He’s worked with notable artists such as Inaya Day, Monique Bingham, Beate S. Lech, Robert Owens, Kenny Bobien & Caron Wheeler & his releases have landed on many respectable labels such as Peppermint Jam, Defected, Foliage Records, R2, Code Red, Nervous along with his own label GOGO Music. It is always a pleasure and thanks for having me again… I am currently at home, which is Centurion, Pretoria, South Africa. The last weeks have been quite mad, as I was extensively in the studio and at the same time had a tight DJ schedule. The last few days are the first ones for a while that I’ve been able to breath deeply and it feels good. 2) Congratulations on the hot new single with Portia Monique. How did this collaboration come about? What can you tell us about the release. Many thanks for the kind words about the tune. When I started to work on a new album, I just made a list of singers I was keen to work with. Portia might now have the most extensive discography yet, but I was digging everything I heard from her so far. So obviously she had to be on the list. Quite simply I wrote an email to her and asked if she would be interested in collaborating. Luckily she was and the way she delivered was quite impressing. Hence our song became the first single of my forthcoming album. 3) You recently moved to SA. How is life there, and what promoted the move? The reasons for the move were really manifold. I almost don’t know where to start, what to mention and what to leave out. It is a beautiful country with friendly people who are full of joy de vivre. I made good friends in the country prior the move, who played an important part in the decision to try it. The weather is much better than Germany, my studio rent is cheaper and of course the love for REAL music which exists in the country played a role, too. 4) Do you miss Germany? What do you miss most about it? I am absolutely happy where I stay now and don’t miss the country itself. Sometimes it would of course be nice to be closer to family and old friends. 5) You have quite a busy DJ schedule, how is the crowd there different in the U.S. then in Europe? I think that you find House Heads and music lovers in every corner of the world. And so you probably find a good “soulful and deep night” in most big cities around the world. For instance I had the pleasure to play some really great events in Europe lately. I think the Soulful House scene fortunately sees a little revival there. The big difference between South Africa and any other place in the world is the amount of people who are deeply in love with House Music. It is not just a niche market here, but one of the biggest genres in the country, which has full media support. And South Africans really do know their music, as they do a lot of research on it. If something is hot is released, they will be the first ones to know about it. This obviously leads to musically very well informed crowds. I guess everybody has to have his lows to enjoy the highs. It is just natural that not all things work out all the time as one would wish. Inspiration for example is nothing you can force. But music is my life and there’s no need to motivate me for it. I rather get moody, when I can not work in studio for a too long time. 7) What can we expect from your imprint ‘GOGO’ music in the next few months? Plug away? As my album is just finished as we speak, there will be some single releases taken from it during the next month. Let’s keep it undercover, for now enjoy the current release featuring Portia Monique. 8) Share a few artists that have influenced your sound? It feels impossible to cut it down to just a few. I guess that I took influences from various genres and many styles, which eventually and hopefully led to my own style. Even within the House Music scene, there are many people and even more tracks, that I could write down. To start with some producers let’s say from Larry Heard to Masters At Work to Smack Production to Moodyman to Kerri Chandler to Spinna to Jimpster to Raw Artistic Soul. 9) What is the one piece of kit in GOGO Music studios that you simply cannot do without? It has to be the computer these days. In current studio environments it is simply the key tool, even if you only would use it to sequence your music. (Almost) no one can do without a computer anymore. 10) Where does a store like Traxsource fit into your musical agenda? Traxsource personally is my first stop to buy music. In the flood of music released these days, it is the best one for me to really find what I am looking for. For the label it is an integral pillar in its strategy and to reach our core customers. Thus why we still do a promo period for GOGO Music releases here, and have been since the day Traxsource went online. 11) Any advice for your fans on how to make it in today’s fast paced game? The 2 P’s are essential – passion & patience. Stay true to what you really feel at all times and try to master your craft as much as you can. Accept that it takes time to reach a certain standard while you stay curious to explore new ways of getting things done. In fact you never stop learning. 12) Where can your fans catch you in playing over the next few Summer months ? And what is next for you? I will mainly play in my new home country South Africa for the rest of the year, as my schedule is already filled up with gigs here. In between I maybe travel for some special gigs abroad. The next big thing will be my birthday weekender on the first weekend of August for which Monique Bingham will come to the motherland once again. And of course the release of my new full length CD, which will be released by House Afrika / Sony Music in South Africa towards the end of August. It will hit the rest of the world a bit later this year. 13) Are you a Football fan? If so, who’s gonna win the World Cup? I am not a fanatic, but I would have followed the world cup more, if I would have had time but I’ve been stuck in the studio. I actually have not managed to watch a single game so far but as a German I probably should bet on my country of origin, as they seem to play very well. I somehow have the feeling Brazil might take it though. The latest offering from Ralf GUM ‘Free (Is All I Wanna Be)’ is out now on Traxsource.